Hello there. Again, long time no speak - I keep uploading posts and saving them meaning to do a quick write up and then post it but before I know it, I've got 3 or 4 of them sitting there and weeks/months have gone by. Big Oops! So, here's the first of the backlog of crafty things I have made since my last post. This was a birthday card I made for hubby's sister. 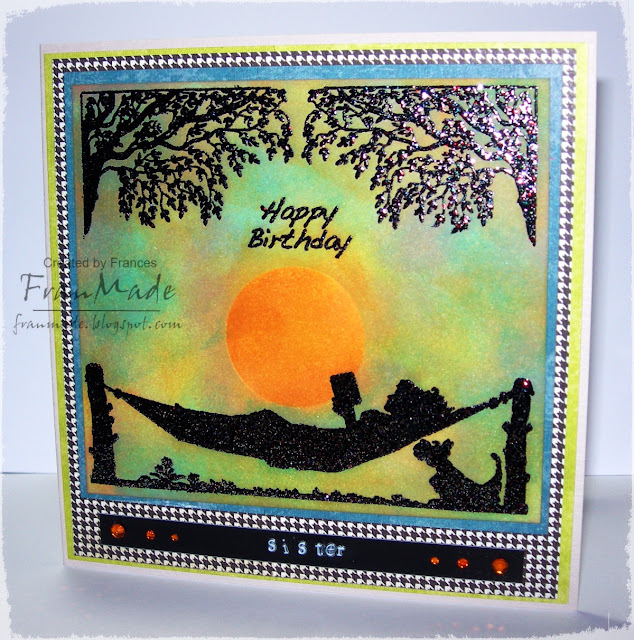 Wanted to do a non cute card and I knew I wanted to try out some silhouette stamps I bought just for such a non cute occasion. (I got them from Stamp addicts - after seeing them by chance in one of their newsletters and knew I HAD to have them!) No colouring either! Just good old stamping and heat embossing. The image has been stamped and embossed with black holographic embossing powder and then I have just masked a circle of the sun and sponged the background with various distress inks. To be honest, the colours aren't what I had in mind but I just went with it then just found some co-ordinating cardstock and papers to mat and layer it. The sentiment has been punched out with my ATB tapewriter which I haven't used for ages and I've just added some orange gems either end to finish. Right, will be back with more shortly! 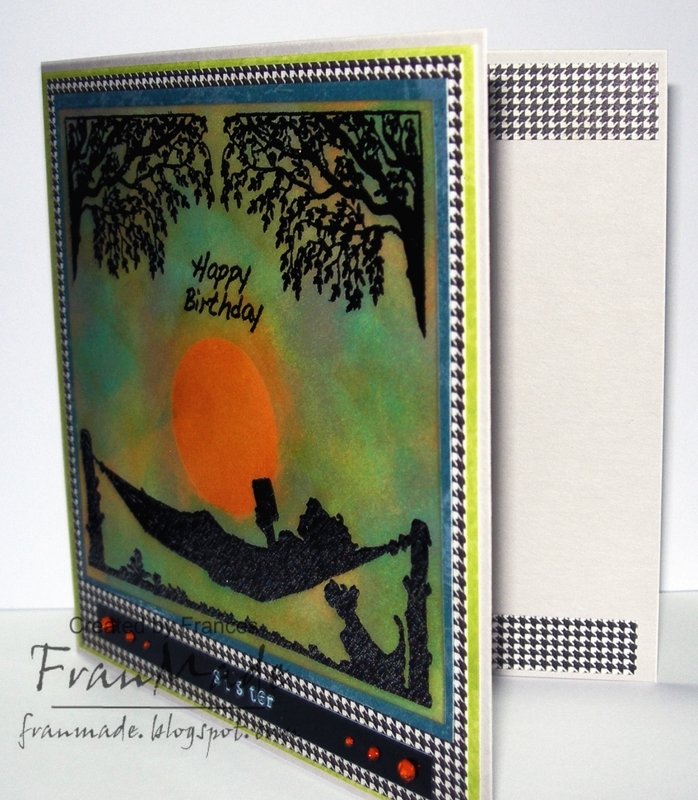 fabulous card Fran, and good to see you back with us in blog land again!